Why is the east-west valley route still closed to the public? It is now almost five years since the long awaited opening of the first phase of the Country Park. The Friends of Panshanger Park, and other groups have been pushing Tarmac to fulfill their obligation to open the park in full some years now. The original plan was to have the first phase of the park opened up in 1989, click here to read a press release from 1982. This didn’t actually happen until 2014 however. The owners announced at that time that the east-west route would be opening later in 2014, yet it remains closed today. Local MP Grant Shapps visited the park with in 2014 and 2016, to ask about this, and will hopefully visit again very soon. We believe there is nothing to prevent the western half of the Park opening now. This will allow people from Welwyn Garden City and Hertford to easily walk through the stunning valley alongside the Mimram. The picture below shows the path that remains closed to the public. “I can confirm that the decision whether or not to open up the path is entirely within the remit of Tarmac. As far as we concerned there are no restrictions that would prevent the path from being opened”. Despite this there still no date for opening. This is not a new route or path, but a longstanding one which the landowner has gated off at either end. It serves as the key access route into the park from Welwyn Garden City and offers the wonderful views of the Grade II* listed landscape to the visitor. Aggregate extraction has now finished within the park so any safety fears about risks to visitors from that operation have now gone. In addition, there is still no formal management plan for the park, despite draft versions from the landowner Tarmac over recent years. There is still not a single toilet in the park for visitors, despite hundreds of runners visiting for the local parkrun there every Saturday. There is also a lack of progress in restoring the remaining heritage assets, such as the Orangery which was adjacent to the former Panshanger House, demolished in 1953. These Heritage Assets remain on the Heritage England ‘at risk’ register due to the lack of progress and a forward restoration plan. Tarmac have also made planning application for a new carpark in the central core of the listed Repton landscape. Objections have been lodged by Heritage England, Herts Gardens Trust, The Welwyn Garden City Society, this group, as well as by many individuals. Parking should be on the perimeter of the Park as per the original plan. This parking proposal is the worst of all options and not in the best interests of the park’s protected setting or its visitors. 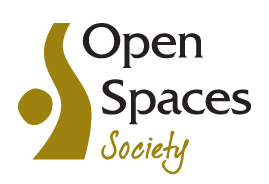 The Open Spaces Society previously visited the park in 2014 and issued a statement calling for the park to be fully opened up. We call for Tarmac to issue a date by which the east-west route will be opened, and for them to stick to it. We want to see this route finally opened for this coming summer, with no further obfuscation. To do this all they the landowner actually has to do is remove two padlocks from two gates, what could be simpler? Despite talk of longhorn cattle and other ‘good news’ stories that pop up, there remains a distinct lack of progress in genuinely restoring and fully opening up the new Country Park for the benefit of local residents. As was set out in the original contractual agreement, inherited by Tarmac when they gained ownership of the site. The Friends group is committed to making this happen, by working with the various stakeholders to help ensure things don’t drag on for longer than absolutely necessary. Latest request from HCC to TARMAC in letter of 8 JUNE 2018 below. Tarmac have so far declined to reply to HCC or action any requests to improve public access and facilities. Another summer passes without full Country Park access and the delivery of the facilities Tarmac are legally obliged to give back. The quarrying profits have been taken away of course. HCC John Wood, Chief Executive letter of Nov 2017 was finally responded to on 12th February 2018. The above letter left many questions unanswered and unclear. It is for the planning authority (HCC) to ensure that the full public benefit – enshrined in the 1980’s Legal Agreement & Planning Permissions – is delivered. A fully opened and wardened Country Park with all the facilities the owner is obliged to deliver. If you would like to better understand why a Country Park at Panshanger is overdue to the people of Hertfordshire. Please read our Friends of Panshanger – Assessment document below. It is a detailed assessment of the Tarmac Country Park draft plan, delivered earlier this year to Herts County Council (HCC). A detailed plan that was first asked for in 1982. The country park should have first opened its gates 1989 (see HCC press release). Twenty eight years later the public still waits for the full opening of the Country Park and its facilities. Also see letters sent to Tarmac by HCC over the last 4 years. We leave you to judge progress. 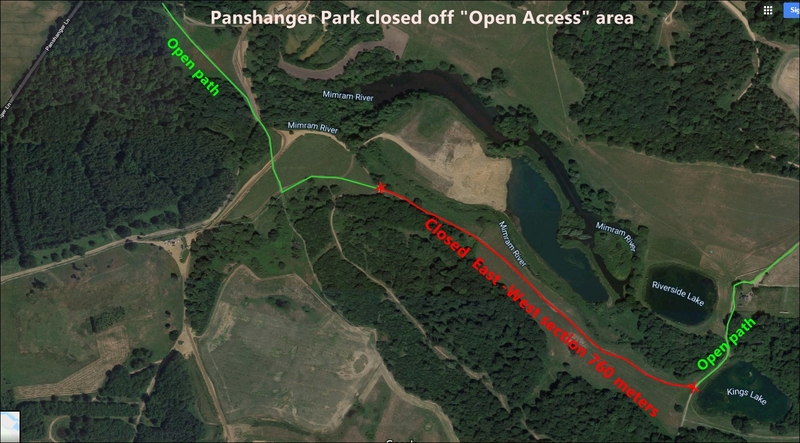 The Friends of Panshanger Park now assume full access to the Country Park area from 1st January 2018, in line with the ending of mineral extraction on the Panshanger Estate. A new permission to import inert restoration minerals was granted to Tarmac by HCC (prior to opening of the full Country Park) or even getting a plan. Estimated value of this new permission is £4-8 million over 10 years. But still no toilets at the Country Park, one car park for a 800+ acre park, no refreshments facilities, no disabled access parking, no public fishing, poor way-marking, no plan to restore the Orangery. We now also have the ignominy of an English Heritage Grade II* landscape, designed by Humphry Repton, being added to this years Historic England – Heritage at Risk List. Due to poor restoration and management practices adopted by the owners and on the eve of national celebrations of Repton’s 300th anniversary in 2018. We are pleased to confirm SUCCESS and that following the local and national campaign to save Repton’s Broadwater at Panshanger Park. Tarmac have announced they will not excavate the Lower Broadwater. THANK YOU to everyone who has campaigned for this and to Tarmac for reaching this final decision. Friends of Panshanger Park Annual General Meeting to be held on Wednesday, 7th December, 2016 starting at 7pm at Brace Room, St Mary’s Church, Hertingfordbury. A team of committed volunteers working on your behalf. 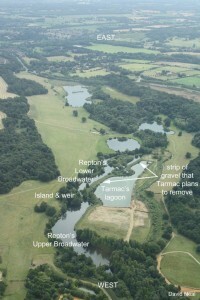 Panshanger Park needs YOUR HELP PLEASE ACT NOW! Repton’s design for the Broadwater (below right) is in imminent danger of being destroyed and we need your support to help protect it. Please download and share this link/leaflet and do email your views and concerns. Thank you for your support. This aerial photograph shows the large expanses of water that have been created in the valley as gravel has been extracted over recent years. Over time, some of the restorative work has been completed by the owners though not necessarily to the expected landscaping standards needed to preserve the historical integrity of the designs of Repton and Brown. In addition there remains limited access for to public and a large amount of unecessary fencing around footpaths and bridleways. This includes a 2m high x 60m long close boarded fence which takes away a stunning heritage landscape view across the valley. A view which is shown in the Friends website banner and was destroyed by the owners in Autumn 2014, the Friends continue to campaign for removal of this fence, which has never been justified by the owners in terms of why it is needed to protect wildlife areas around this area. Today there is mounting momentum for the present owners to honour their legal commitments of restoration and public access. 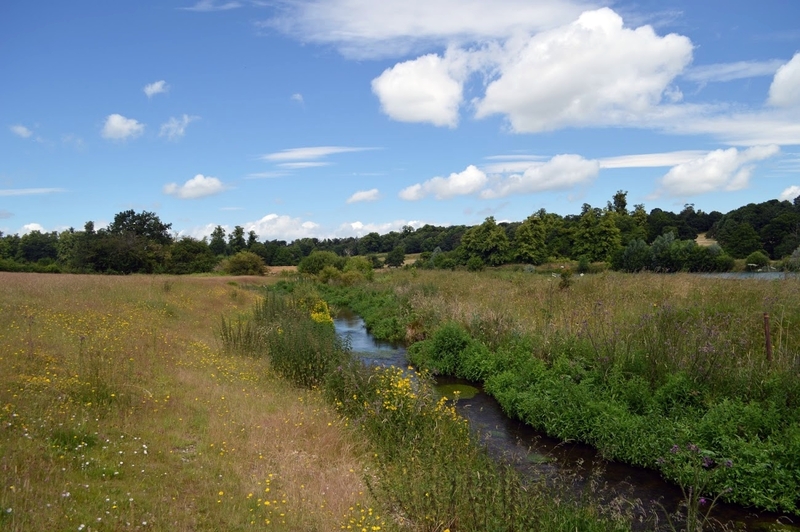 The Friends of Panshanger Park (The FPP) formed in 2013 to representing multiple local organisations and individual memebrs who wish to see our Country Park delivered in line with the original planning obligations.